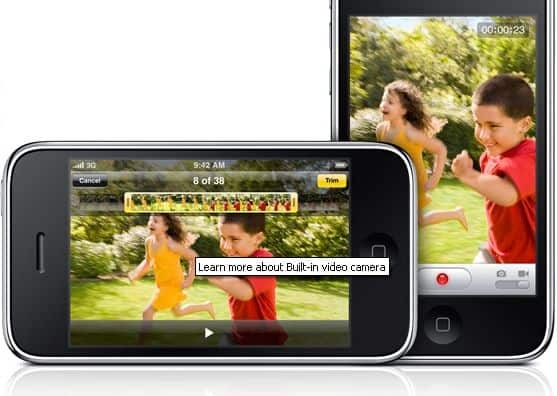 The Apple iPhone 3G is known for its sophisticated features and now the brand has introduced ‘the fastest iPhone ever’ with speed and software upgrades, a video camera, mass storage capacity and compass as well. The broadband pace upgrade was basically announced AT&T in late May, it seems that Apple has really maintained the gorgeous appeal of the new iPhone. And the new iPhone now is available in $99. Apple was not ready for its new iPhone at this time. But at its WWDC event in San Francisco, Apple had announced a new ‘S’ version of iPhone 3G and the company let media and press known that ‘S’ stand for ‘Speed.’ The speed is the main motif of the iPhone 3G S and this is mainly based on support for OPENGL ES 2.0 which provides 3D graphics much more efficiently than the previous models. This indicates that iPhone is moving deeper than its gaming field and other sophisticated features. The company also announced that the battery features of the new Apple iPhone 3G S has better life and has indeed improved than previous models. From hardware perspective of iphone 3G S, the HSPA 7.2 is the most interesting new feature of the device and according to the theory of the company the phone is going to offer maximum bandwidth of 7.2 mb/s which is better than 3.6 mb/s. However users can experience download speed of nearly 2 mb/s. And AT&T has announced that it would updating its 3G network with HSPA 7.2 support and they promise that they would upgrade by 2011. The company has announced that they would be increasing the capacity of the 3G network, but whether AT&T will be able to grow with the demand of 3G bandwidth. 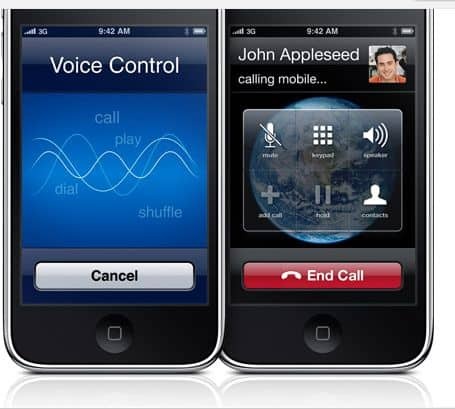 The other features of the new Apple iPhone 3G S include – 3 megapixel camera that can also go for fine video recording, the new compass that actually adjust the geographic direction of device in GPS navigations. And Apple rapidly boasts of update in software which is more than 100 features which include cut, copy and paste features, Spotlight Search, MMS and a landscape keyboard. The 8GB version of the phone comes in $99 only. If one wishes one can opt for the 16GB Apple iPhone 3G S with 16GB that comes in $199 and the 32 GB model comes with $299 only. The 8GB model doesn’t contain few of the fancy features that are included in the 32 GB and 16GB phone.